Beijing police deployed 150 armed patrol vehicles to city streets Monday to maintain stability in the capital. 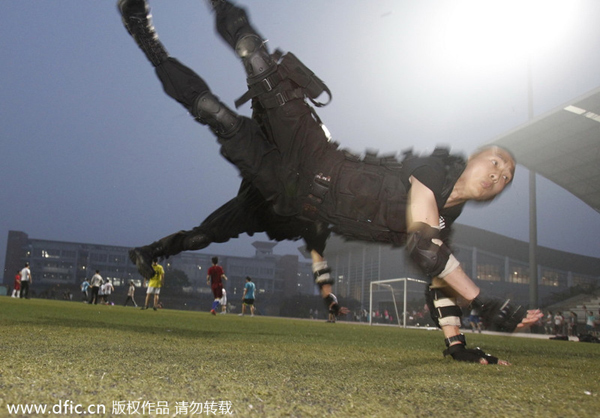 The armed vehicles will become the principal force in countering street terrorism and violence in Beijing. Sources with the Beijing Public Security Bureau said the patrols will mainly be responsible for incidents involving guns, bombs, mass violence or terrorism. The vehicles, stationed at main intersections with heavy traffic, will be a deterrent to terrorists. Each vehicle will be deployed with nine policemen and four assistants. The patrol forces will cover the main streets of Beijing, with each vehicle covering no more than three kilometers. The police are required to reach the scene of any incident within three minutes after receiving a report.